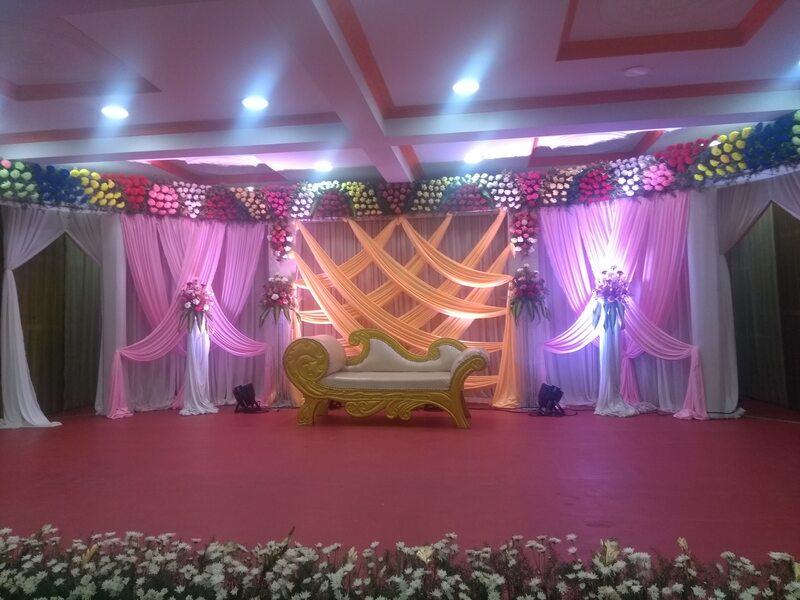 A/C Marriage haall in chennai ; Sri Ammanaa Mahaall is fully Air-conditioned marriage haall & Dining haall Marriage haall seating capacity of 700 persons, Dining haall capacity of 200 persons. 10 a/c rooms with bath attached with car parking facilities please contact 9282230380. A/C Kalyanamandapam in Chennai; Sri Ammaaa Mahaall is in Chennai Mogappiar, neare to Annanagar koyambedu, Ambattur, . marriage Haall capacity of 700 persons(Centralized A/C) & Dining Haall capacity of 200 persons(centralized A/C ) 10 a/C spacious rooms with bath attached one dormentry 100 persons can stay , car parking facilities available Please contact 9282230380. A/C Weeding haall in chennai . Sri Ammana mahaall situated in Golden george Nagar , nearer to mogappiar east, mogappiar west, Annanagar , Ambattur Nerkunrum , Koyambedu & Maduravoyal .It is fully A/C marriage haall seating capacity of 700 persons. Dining haall seating capacity of 200 persons.10 A/C spacious room with bath attached. one Dormentory 100 persons can stay .we are doing decoration for both manamadai.reception decoration in a origional flowers in a package itself. Please contact 9282230380. A/C Marriage haall in Chennai; Sri Ammanaa Mahaall situated in Golden George Nagar very nearer to mogappiar east, west Annanagar, Ambattur Maduravoyal, koayambedu, & Nerkunrum area It is centralized a/c marriage haall seating capacity of 700 persons , Dining haal also centralized a/c capacity of 200 persons 10 spacious a/c room with bath attached, with one dormentory 100 persons can stay , car parking available .doing decoration for both manamadai & reception decoration by origional flowers in a package itself in a rich look.Please contact 9282230380. A/C Marriage haall in Chennai; Sri Ammanaa Mahaall is centralized A/C marriage haall seating capacity of 700 persons Dining haall also centralized a/c capacity of 200 persons 10 Spacious room with bath attached with one dormentry 150 persons can stay car parking available please call 9282230380. A/C Weeding haall in chennai .Sri Ammanaa Mahaall is situvated near mogappiar and golden george nagar marriage haall seating capacity of 700 persons fully centralized A/C Dining haall capacity of 200 persons fully centralized a/c.10 a/c spacious room with bath attached. modern kitchen and car parking. Doing decoration for both mannamadai& , reception in a origional flower in a package .please contact 9282230380. A/C Marriage haall in chennai ; Sri Ammanaa Mahaall is situated in Golden George Nagar Mogappiar .It is close to mogappiar west Annanagar , Ambattur , Padi , Maduravoyal, Koyambedu. Marriage haall seating capacity of 700 persons , Dining Haall capacity of 200 persons Both marriage haall and Dining haall covered with centralized a/c, 10 A/C spacious rooms with bath attached, , one dormentory 100 persons can stay. car parking facilities available , please contact 9282230380.